Work camps to be set up from Dawson Creek, B.C., to the west coast on the condition that LNG export terminal in Kitimat is built. 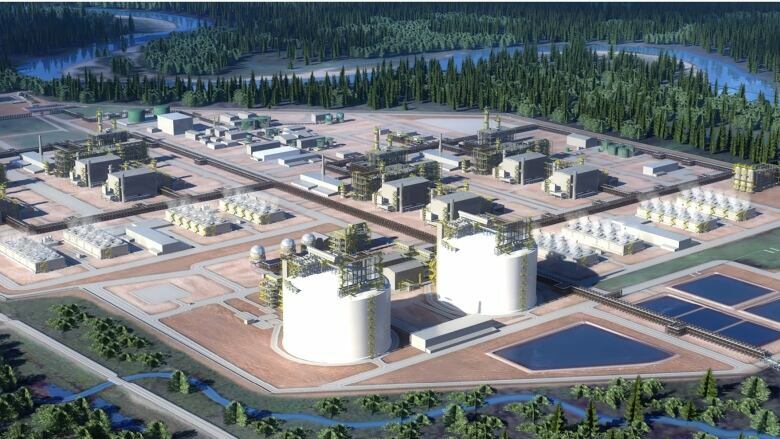 Analysts say the awarding of a workforce accommodation contract to Houston-based Civeo Corp. is another sign that the $40-billion LNG Canada project is headed for a positive final investment decision later this year. Civeo says it has been awarded contracts to supply temporary work camps at four locations along the Coastal GasLink pipeline from Dawson Creek, B.C., to the west coast of B.C., on the condition that the liquefied natural gas export terminal is built. The proposed 670-kilometre pipeline is to be used to transport natural gas from northeastern B.C. to the facility near Kitimat, B.C., where it will be super-cooled and loaded on ships for transport to mainly Asian markets. In a note to investors, CIBC financial analysts said the contract award adds to evidence that partners in the Royal-Dutch Shell-led project will agree to proceed, noting that Civeo has already been awarded conditional contracts for a 440-bed permanent facility at Kitimat and a 4,500-bed temporary camp for the export terminal construction phase. Last month, pipeline owner TransCanada Corp. awarded the construction contract for the pipeline to a consortium, also on the condition of a positive investment decision on LNG Canada. Civeo, which operates several work camps in the oilsands region of northern Alberta, said it is to provide a total of more than 2,000 rooms under the pipeline contract and revenue is expected to be about $100 million from 2019 to 2021. In May, the chief executive of the LNG Canada project on British Columbia's northern coast said the company was committed to starting construction on the $40-billion liquefied natural gas export project this year.